I like to “treat myself” to an 80s internet radio station at work on Fridays. I know that if I listened more often than that, I would get sick of the songs within a week or two at the most and then I’d have to find something else. But there’s something else I’ve noticed about a healthier dose of musical repetition: seems that if you hear a song *just* enough– enough to know it very well, maybe you’ve committed most or all of the lyrics to memory, even if it’s not a good song, you’re going to come to enjoy it. I think this is why I have such an affinity for the 80s music. Even though a lot of Billboard’s biggest hits are not what I would ordinarily think of as “good songs,” I’ve listened to them so often they are virtually automatic earworms. I was just singing along to “Seasons Change” by Expose a minute ago. What the hell else could that be all about? Anyway, enjoy your Friday, and if you get random 80s lyrics texted to you by me on ANY Friday– you now know what it’s all about. For those that are interested, I added a couple more photo galleries from our recent vacation. You can go to the galleries page to find them. The EAA Airventure is going on in Oshkosh this week. If you are planning to attend the event, Osh Vegas is definitely the place to be. If you are planning on doing ANYTHING else in Oshkosh this week, you planned poorly. Hence, I am glad to have a couple days off from commuting. 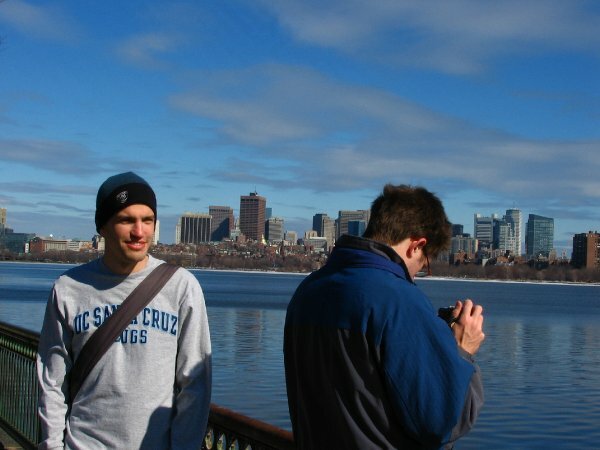 My friend Ben, who I knew back in Bozeman, and who hosted Wordy and I in Boston a few years back (and whose photo can be seen here), is on his way across the country to Bozeman once again– this time he’ll be teaching at MSU come fall. Anyway, he’s staying with me for a day-plus while en route so we can take in a baseball game and a brewery tour. It’ll be cool to get cousins Aaron and Matt, and Nick Petters in town for the game, too. Hopefully, the Brewers know what the hell they’re doing, trotting Carlos Villaneuva out there for his first start in about a year and a half. No matter what, we’re looking forward to a relaxing day in Milwaukee. Anyone who’s talking Brewers right now is talking about who, when, and if to make a trade to bolster the team’s starting rotation for the stretch run of this season. The non-waiver trade deadline is July 31, so that’s what all the hub-bub is about. The Brewers have been mentioned pretty prominently in the rumors surrounding Toronto’s Roy Halladay, far and away the best pitcher that is ‘available’ at this time. The Brewers (a) have the excellent minor league prospects that Toronto would like in exchange, (b) they’re less than a handful of games behind St. Louis in the division, and most importantly, (c) they showed last season that they were willing to deal when they worked out a trade for CC Sabathia. I was talking with a friend about situation yesterday, and wanted to share some of my thoughts. Honestly, I really hope that the Crew just stands pat with what they’ve got and hope for the best. The division is too close, and (until just yesterday afternoon) no one else is making moves to suggest they’re going to pull ahead, either. I LOVED the Lopez deal to solidify the top of the order. Manny Parra has looked a lot better, and if we get Dave Bush backin the rotation, that could be enough to pull ahead (provided guys get back to the form they showed earlier in the season). In my mind, it’s not worth it to trade either of their blue-chip prospects (Mat Gamel, Alcides Escobar) for a guy that will be here for a year-and-a-half at most, when his acquisition would in no way guarantee a trip to the Series. Better chance of making the playoffs this year? Sure. At this point, though, it’s hard to look across the Brewers pitching staff and say, “well, we’re just one premium pitcher away from taking this division.” They’re really not. And considering the strength St. Louis just added to the middle of their lineup, the Crew should be LESS inclined to make a move, not more. Halladay might’ve helped us over the hump in a weak division, but if the Cards can more consistently score runs, they become a legit contender. I feel like the Brewers are better served to ride this out, stay patient, and continue to build for the coming seasons. The front office needs to do a REALLY good job scouting and developing pitching. They used 4 of their top 6 picks in the 2008 draft on pitchers, and another 2 of the top 3 (including #1) in 2009. This has been our achilles heel stretching as far back in recent memory as J.M. Gold, then on to Ben Hendrickson, Mike Jones, Mark Rogers, and most recently Jeremy Jeffress (and there were plenty of other less prominent flame-outs along the way). They need to sign the rock-solid players (Braun = done, Prince, Gallardo) to long-term deals and do a good job of separating the proverbial wheat from the chaff (Escobar will probably supplant Hardy at shortstop next year, might be a good idea to get Gamel some time in right because Hart hasn’t shown the consistency at the plate, etc.). It’s tough to continue to have a patient attitude, because for so long, the organization built up to this time– when the everyday guys we have now would be in the prime of their careers, and we’d be making strong runs in the post-season. Well, we didn’t end up with enough young pitching to do that. The thing to do now is NOT to sell off the farm and grasp at straws to get there. Stay the course. We’re now at least a perennially competitive team, and we just have to keep doing a good job with player development; eventually we’ll get lucky enough that the pieces come together. I would rather have a team that wins 80-90 games every year and always has at least a so-so shot at making a post-season push than one that goes for broke, misses the mark, and ends up back in the cellar in three years. Now’s the time for Milwaukee’s front office to be really smart, sign your best players for the long haul, and keep those farm hands coming. I had hoped to get a more significant post up here today, but just like that, it’s past my bed time. There is a new gallery that has the shots I took in San Francisco. Wordy & Jessica’s wedding was great. The location was beautiful, the food was phenomenal, and we had a great visit with all of the guests. Their ceremony was exactly what I would have expected; it was colorful, and had their collective personality. We were both very happy to have been able to attend, and we’re looking forward to visitng again as soon as we can. We finally hooked up with Devin after the beach, when we went out for lunch at a place called Islands. It was a sit-down burger joint. I had a ‘Bleunami’ and it was pretty tasty. Saturday, we slept in, seeing as we’d been up until all hours the night before. When we finally got up, we decided we wanted to take a ride to a beach further south, like Santa Monica, so we could check out some different sights in L.A. Michelle wanted to do a little more souvenir shopping in Hollywood before leaving town, so that was on the docket as well. Lorch wanted to go with us and catch lunch at In N Out, so he rode along. The drive down the 1 to Santa Monica took us nearly 2 hours. And this was about a 25-mile trip. We did make a short pit stop at Topanga Beach, but we quickly discovered that one was for surfing and not swimming (what with the rocks and lack of sand). We finally pulled into a parking garage off the 3rd Street Promenade in Santa Monica at 2:39pm. We hadn’t eaten or done much with our day other than ride in the car up to that point. We were all a little annoyed at how our Saturday was turning out, but we tried to make the best of it. We had Mexican for lunch, strolled around the Promenade a little, then walked down to the Santa Monica Pier and the beach. It was amazing how much warmer the water felt, less than 30 miles south along the shore. Michelle and I went in, but Lorch hung out on the beach, wanted to avoid exposing his severely sunburned back and chest for a 2nd consecutive day. It was a lot of fun “swimming” around as much as we could. There were SO MANY people at the beach, it was hard to do much other than sort of float or tread water and ride the waves as they rolled in. Still had a great time. Unfortunately, there wasn’t any time left for other things with all the traffic that day. After the beach, we headed back to the hotel, on the freeway this time, and we arrived back at about 6:30 or so. Lorch left for the airport within an hour (his flight was at 11:30pm, but the south-bound traffic looked awful), and Michelle and I ended up having a quick dinner at California Pizza Kitchen just minutes before they closed at 10. Once again, keep an eye out for pictures! I haven’t had time in the last day and a half to sift through all the shots I took, but I’m planning to do so this evening. It was another great vacation. Michelle and I always have a wonderful time on our trips, seeing new things and visiting with old friends. We’re looking forward to doing it again soon. Just dropping a note while we’re in Colorado Springs that the new photo gallery “A Very Wordy Wedding” is up and online. More to come soon from our trip, so check back frequently in the next several days if you’re interested. More detailed posts to come to sum up the duration of our vacation. We had a great time and will be home soon! We were without free Internet access for a couple days while we traveled to San Francisco and then back here to Thousand Oaks. Finally, the Hampton Inn has free wifi!! On Tuesday, we drove up the Pacific Coast Highway to San Francisco. Michelle was delightfully surprised at the scenery on the way up– we realized that California is the state she’s been wishing for every time she’s traveled: it has the ocean, mountains, cities, and beautiful weather. I can’t argue with that. It’s a helluva big state. Our drive up the coast took most of the day, and we took a lot of really nice photos (which will be coming to the site soon). Wednesday, we spent the day touring around San Francisco. It was REALLY foggy in the bay all day long, but we enjoyed Fisherman’s Wharf, took a nice boat tour around the bay, shopped in Chinatown, and walked around Union Square. Lot of good pictures to be seen here as well. On Thursday, we made it back to Thousand Oaks by about 6PM. We were kind of surprised how far north from L.A. the traffic congestion stretched. We missed the wedding rehearsal itself, but we made it to dinner and got to hang out with everyone at the hotel bar for a while in the evening. It’s going to be a nice, relaxing weekend! We left the hotel in Chicago on Sunday morning around 6:30AM for our 8:40 flight. We made sure that Michelle’s mom would be able to get dropped at the bus stop for her return trip to Milwaukee, and hopped into the queue for United. It was LONG. In the course of the time we spent in that line, we discovered that Michelle’s bag was a bit overweight (about 58 lbs. ), so we were shuffling through the line with our bags open, redistributing toiletries over to mine to even things out. By the time we finished that process, we noticed Michelle’s phone was missing. Fortunately, it had been quickly picked up by one of the airline employees and it was back on her podium. One disaster averted! As we finished getting through the security line, it turned out that we missed one item in Michelle’s carry-on: a brand new, 4.5 oz tube of Aveda hand lotion. Although it was tough for Michelle to let go, it had to get tossed in the trash. Cuz, y’know, if they let you keep your hand cream, the terrorists win. Stupid terrorists. We flew on a tiny jet to Oklahoma City. Even the woman checking passes at the gate thought that L.A. via OKC was the dumbest connection ever. But it was cheap. We landed in OKC with only about 20 minutes to catch our connecting flight– which we quickly discovered was at the same gate, on the same plane. So that was easy. We made it to Wordy and Jessica’s place without incident– I like their new apartment. It’s nice, roomy, conveniently located; I told Wordy it was my favorite place that he’s lived in here so far. Sunday afternoon, the three of us went to In n’ Out for burgers while Jessica was at the spa. We were thinking of taking a ride into Hollywood, but decided to rest up for the evening concert at the Hollywood Bowl instead. We saw Ray LaMontagne, Jenny Lewis, and one other opening band whose set we mosted missed. They sounded good, though. The show was great– by the time it was wrapping up, Michelle and I were utterly exhausted after our Indian weekend and our travels, so we both caught a couple Z’s. That fact was NOT indicative of our enjoyment; we really enjoyed the show, the venue and the company. In case you missed it, we are on our matrimonial summer vacation. We started out on July 9, mid-day, with a coach bus ride from 4th and St. Paul in Milwaukee down to O’Hare in Chicago. From there, we were able to catch a shuttle to the Hyatt Regency O’Hare, where Michelle’s friend Amisha was getting married (I suppose technically she did not get married at the hotel, but rather the Rosemont Convention Center across the street). We caught a later bus out of Milwaukee than we originally planned, so on Thursday night, Michelle and her mom, Sheryl, had to head straight over to the henna party at Amisha’s parents’ house. I tried in vain to get on a subway train to downtown Chicago (would have taken an hour to get there, and I was starting at about 9PM), see Public Enemies (the last show of the day started just a little while before I got to the theater), and find a grocery store within reasonable walking distance. I ended up having some wings and a beer in the hotel bar for dinner on Thursday night. I should probably mention here that Amisha is Indian, and the experience of an Indian wedding was new for all three of us. There is a LOT of ceremony throughout the entire event, which can last for days. With Michelle being a bridesmaid, we had to keep a very tight schedule and spend a lot of hours at each location. It was extremely interesting, a lot of fun, and exhausting. Friday, we were back at Amisha’s parents for a ceremony to get Amisha prepared for her wedding day. Most of her visiting family attended the event from about 9AM to 2PM. We had lunch, then returned to the hotel to get ready for the Garba, a dance/party the night BEFORE the wedding Most of you, you might have throughout this was the reception just based on casual observation; it was a little more like a prom the day before the ceremony. There was one dance in particular, toward the end of the evening (around 10:30) that nearly everyone participated in (did I mention that there were several hundred people at the Garba?) lasting nearly an hour! And it was a non-stop dance. We wondered where everyone got SO MUCH energy, and by the end of the night, Michelle was suffering from some mild heat exhaustion and dehydration. The reception in the evening featured 10 dance performances, a Slumdog Millionaire parody, and an entire room just for desserts. Toward the end of the evening, it was fairly similar to an American reception, with all the younger folks on the dance floor to the end. More to come as time allows on our trip out of Chicago and our first couple days in sunny southern California… off to the Hollywood sign!